Elsarraj, H. S., Hong, Y., Valdez, K. E., Michaels, W., Hook, M., Smith, W. P., Chien, J., Herschkowitz, J. I., Troester, M. A., Beck, M., Inciardi, M., Gatewood, J., May, L., Cusick, T., McGinness, M., Ricci, L., Fan, F., Tawfik, O., Marks, J. R., Knapp, J. R., Yeh, H. W., Thomas, P., Carrasco, D. R., Fields, T. A., Godwin, A. K. and Behbod, F. (2015). Expression profiling of in vivo ductal carcinoma in situ progression models identified B cell lymphoma-9 as a molecular driver of breast cancer invasion. Breast Cancer Res 17: 128. Osuala, K. O., Sameni, M., Shah, S., Aggarwal, N., Simonait, M. L., Franco, O. E., Hong, Y., Hayward, S. W., Behbod, F., Mattingly, R. R. and Sloane, B. F. (2015). Il-6 signaling between ductal carcinoma in situ cells and carcinoma-associated fibroblasts mediates tumor cell growth and migration. BMC Cancer 15: 584. Behbod, F. and Vivanco, M. D. (2015). Side population. Methods Mol Biol 1293: 73-81. Zou, A., Lambert, D., Yeh, H., Yasukawa, K., Behbod, F., Fan, F. and Cheng, N. (2014). Elevated CXCL1 expression in breast cancer stroma predicts poor prognosis and is inversely associated with expression of TGF-beta signaling proteins. BMC Cancer 14: 781. Elsarraj, H. S., Hong, Y., Valdez, K., Carletti, M., Salah, S. M., Raimo, M., Taverna, D., Prochasson, P., Bharadwaj, U., Tweardy, D. J., Christenson, L. K. and Behbod, F. (2013). A novel role of microRNA146b in promoting mammary alveolar progenitor cell maintenance. J Cell Sci 126(Pt 11): 2446-2458. Li, H., Duhachek-Muggy, S., Qi, Y., Hong, Y., Behbod, F. and Zolkiewska, A. (2012). An essential role of metalloprotease-disintegrin ADAM12 in triple-negative breast cancer. Breast Cancer Res Treat 135(3): 759-769. Yeh, H. W., Gajewski, B., Mukhopadhyay, P. and Behbod, F. (2012). The Zero-truncated Poisson with Right Censoring: an Application to Translational Breast Cancer Research. Stat Biopharm Res 4(3): 252-263. Stecklein, S. R., Kumaraswamy, E., Behbod, F., Wang, W., Chaguturu, V., Harlan-Williams, L. M. and Jensen, R. A. (2012). BRCA1 and HSP90 cooperate in homologous and non-homologous DNA double-strand-break repair and G2/M checkpoint activation. Proc Natl Acad Sci U S A 109(34): 13650-13655. Borrego-Diaz, E., Terai, K., Lialyte, K., Wise, A. L., Esfandyari, T., Behbod, F., Mautner, V. F., Spyra, M., Taylor, S., Parada, L. F., Upadhyaya, M. and Farassati, F. (2012). Overactivation of Ras signaling pathway in CD133+ MPNST cells. J Neurooncol 108(3): 423-434. Elsarraj, H. S., Stecklein, S. R., Valdez, K. and Behbod, F. (2012). Emerging functions of microRNA-146a/b in development and breast cancer: microRNA-146a/b in development and breast cancer. J Mammary Gland Biol Neoplasia 17(1): 79-87. Behbod, F. and Rosen, J. M. (2012). Mammary gland development & breast cancer; connecting the dots by non-coding RNAs. J Mammary Gland Biol Neoplasia 17(1): 1-2. Pal, A., Valdez, K. E., Carletti, M. Z. and Behbod, F. (2010). Targeting the perpetrator: breast cancer stem cell therapeutics. Curr Drug Targets 11(9): 1147-1156. Bussard, K. M., Boulanger, C. A., Kittrell, F. S., Behbod, F., Medina, D. and Smith, G. H. (2010). 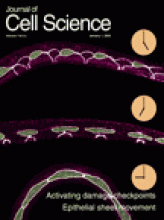 Immortalized, pre-malignant epithelial cell populations contain long-lived, label-retaining cells that asymmetrically divide and retain their template DNA. Breast Cancer Res 12(5): R86. Zhang, M., Behbod, F., Atkinson, R. L., Landis, M. D., Kittrell, F., Edwards, D., Medina, D., Tsimelzon, A., Hilsenbeck, S., Green, J. E., Michalowska, A. M. and Rosen, J. M. (2008). Identification of tumor-initiating cells in a p53-null mouse model of breast cancer. Cancer Res 68(12): 4674-4682. Chen, M. S., Woodward, W. A., Behbod, F., Peddibhotla, S., Alfaro, M. P., Buchholz, T. A. and Rosen, J. M. (2007). Wnt/beta-catenin mediates radiation resistance of Sca1+ progenitors in an immortalized mammary gland cell line. J Cell Sci 120(Pt 3): 468-477. Woodward, W. A., Chen, M. S., Behbod, F., Alfaro, M. P., Buchholz, T. A. and Rosen, J. M. (2007). WNT/beta-catenin mediates radiation resistance of mouse mammary progenitor cells. Proc Natl Acad Sci U S A 104(2): 618-623. Behbod, F., Xian, W., Shaw, C. A., Hilsenbeck, S. G., Tsimelzon, A. and Rosen, J. M. (2006). Transcriptional profiling of mammary gland side population cells. Stem Cells 24(4): 1065-1074. Woodward, W. A., Chen, M. S., Behbod, F. and Rosen, J. M. (2005). On mammary stem cells. J Cell Sci 118(Pt 16): 3585-3594. Behbod, F. and Rosen, J. M. (2005). Will cancer stem cells provide new therapeutic targets? Carcinogenesis 26(4): 703-711. Behbod, F., Nagy, Z. S., Stepkowski, S. M., Karras, J., Johnson, C. R., Jarvis, W. D. and Kirken, R. A. (2003). Specific inhibition of Stat5a/b promotes apoptosis of IL-2-responsive primary and tumor-derived lymphoid cells. J Immunol 171(8): 3919-3927. Welm, B., Behbod, F., Goodell, M. A. and Rosen, J. M. (2003). Isolation and characterization of functional mammary gland stem cells. Cell Prolif 36 Suppl 1: 17-32. Stepkowski, S. M., Erwin-Cohen, R. A., Behbod, F., Wang, M. E., Qu, X., Tejpal, N., Nagy, Z. S., Kahan, B. D. and Kirken, R. A. (2002). Selective inhibitor of Janus tyrosine kinase 3, PNU156804, prolongs allograft survival and acts synergistically with cyclosporine but additively with rapamycin. Blood 99(2): 680-689.